So one week in, and going strong. Thanks to all who have participated thus far, your work inspires me. And then we have a second submission from Gene Hole (The Jerk). 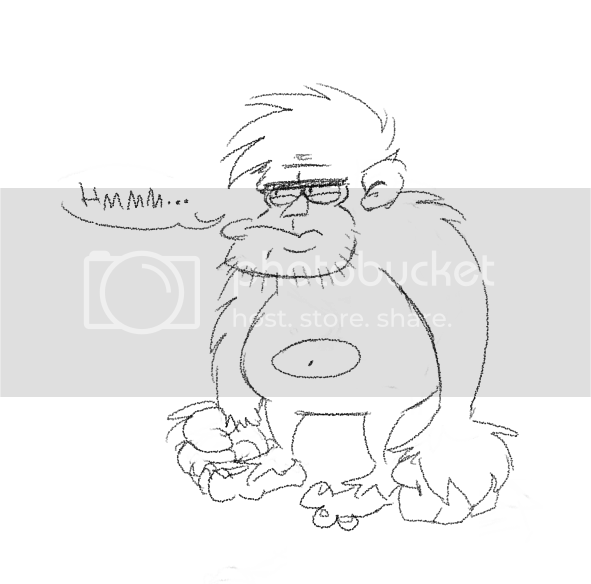 He also did a whole bunch of yeti scribbles, so click the link to visit his blog and take a peek. 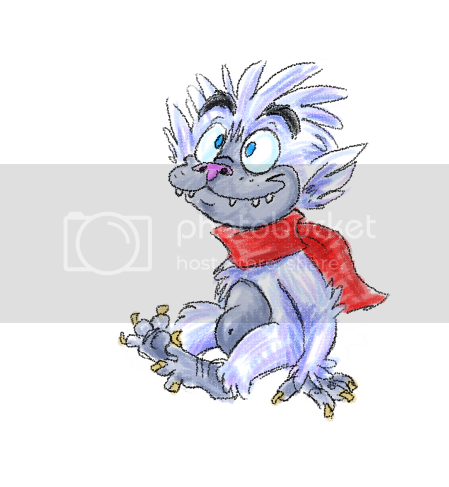 Let's keep this thing rolling, comment on some of your friends blogs, let them know about Yeti December, and let's see how many Yetis we can get drawn. Yeti December just keeps getting better and better. 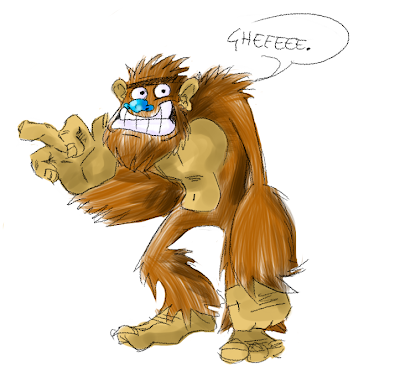 The first Yeti I tried to draw morphed into an odd Abe Lincoln, but I made a comic about a lonely Yeti: Here. 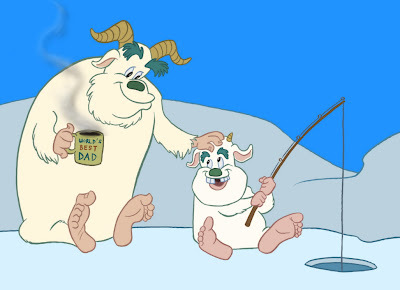 Yeti December is the best.